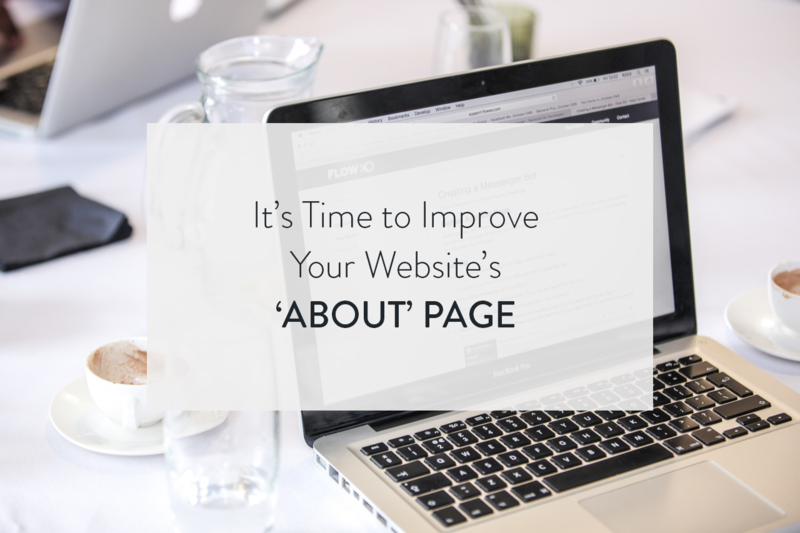 At its core, your website’s “About” page isn’t really about you, but about your page visitors. In fact, every page on your website should answer site users’ unspoken question, “So what?” once they arrive there. Site visitors want to know why they should care enough to spend time on your page, because there are billions of other ones they could be using. Your “About Us” page should ultimately be about your readers and what you can do for them and how your business is suited to fit their needs. The copy on the page should use “you” and “your” generously and avoid making it “me, me, me.” When you make it all about you, your awards, and how great you are, you don’t come across as a company that is interested in visitors (and customers) pain points. But when you make it about the reader, and what your business can do for them, you come across as trustworthy and qualified. Here are some more tips on how to put your “About” page to work and make it earn its keep. Your “About” page headline doesn’t necessarily need to be “About Us.” They know that from having clicked on a link to it, or from the URL. You have the opportunity with your headline to state your value proposition and let them know right away how you will solve their problems. Suppose you run a gym. Rather than “About Us” as a headline, you could have something like, “We’ll Help You Get Fit, on Your Schedule” to indicate what you do (helping people get in shape) and what differentiates you (business hours that accommodate weekends and nights, for example). People are busy, and you only have a tiny amount of time to show them that consuming this page is worth their time. Therefore, you should put your headline to good use. People often make decisions based on their emotions, waiting until afterward to justify them with facts. Therefore, you shouldn’t make your “About” page a dry treatise that simply lays out the facts. Rather, it should have an element of emotional storytelling, which engages the brain more fully and helps information “stick” better. You want this page to make clear how you can solve your visitor’s problem, but when you also have a layer of emotionally resonant content (like an unusual story of how your company was founded), you can connect with them more fully than you would with a list of facts. Your “About” page is capable of nudging people a bit further through the sales funnel. There’s simply no reason not to include a call to action button on this page. 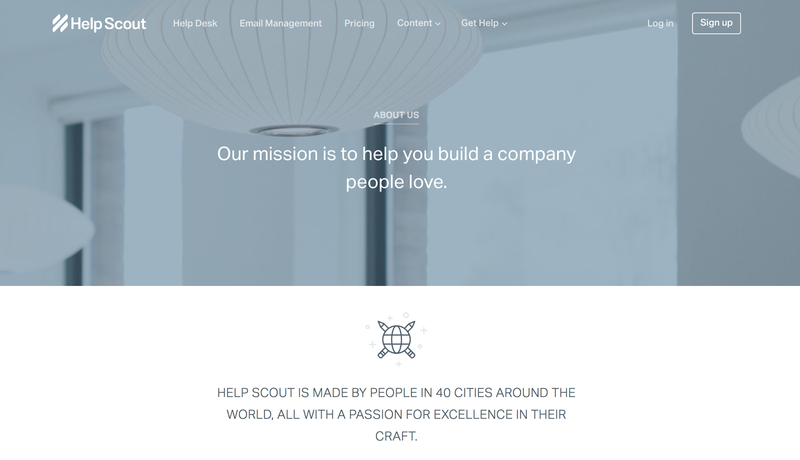 Like the CTA on a landing page or any other page, it should be high-contrast and spell out what happens next. Maybe it’s a brightly colored button reading “Get a quote,” or “Hire us.” You may have to run some A/B tests on the page to see what works best. But don’t waste the opportunity a great “About” page offers by leaving off a clear, compelling call to action. While it may seem like loads of information go into a successful “About” page, that doesn’t mean that the page itself should be crammed with content. Follow the normal rules about clean space, graphics, fonts, and general page aesthetics. If you want to go into more depth, say, with bios for each partner, you can provide a link to a page that does that rather than including them. The “About” page doesn’t need the brevity and starkness of a landing page, but it shouldn’t be so jammed with information that the essentials of “how we solve your problem,” “why you should care,” and “here’s what to do next” are buried in a bunch of digital clutter. Too many small companies treat their “About” page almost as an afterthought, but it shouldn’t be that way. This page offers you a tremendous opportunity to inform, engage, excite, and help potential customers further through your sales funnel. 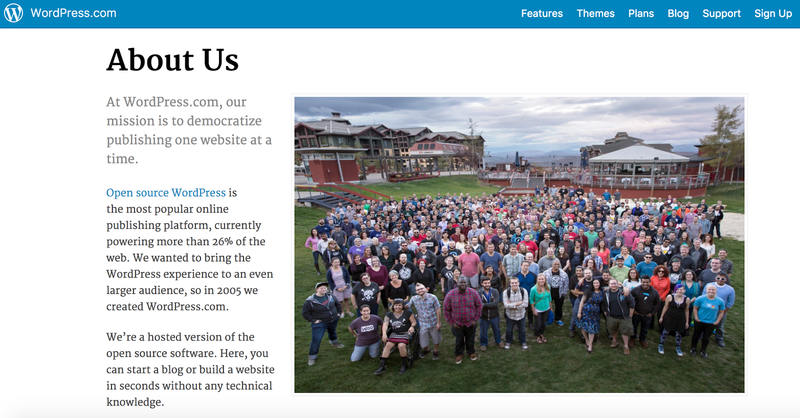 If it’s been awhile since you revisited your “About” page, take a fresh look at it. You’re almost certain to see opportunities for putting the page to work more effectively.